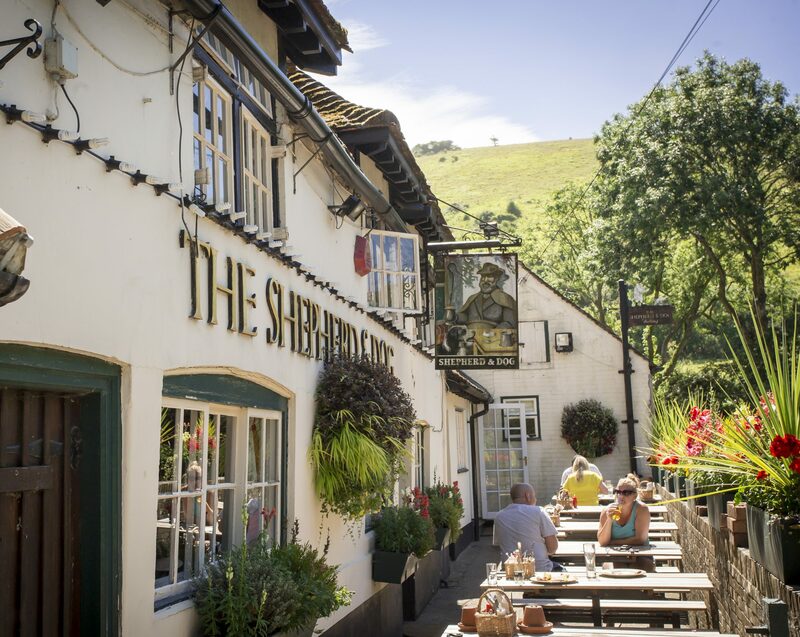 Tucked away at the foot of Devils Dyke just to the North of Brighton, the Shepherd and Dog provides an idyllic location for traditional ales, outstanding food and an easy going atmosphere that turns visitors into regulars. A broad selection of ales and craft beers. Outdoor Bar and Entertainments for those lazy summer afternoons and evenings. Walker and Dog Friendly Bar and Garden. Our menus are small and seasonal. All our food is cooked to order and the menu can change weekly to fit in with what we can source from our local suppliers, or what has been developed by our kitchen team. Sussex and the south coast offer an abundance of top quality produce and, wherever possible, all ingredients are sourced within the British Isles, from small independent producers who are honest, excited and passionate about their trades. Real Sussex Ales from local breweries and some of the best craft beer from around the world help stock our bar alongside English gins, whiskeys, local fruit juice and English sparkling wines. We recycle glass, cardboard, tins, plastic and all vegetable waste. If you are looking to make a booking for 6 or more people we will require card details for security. Please note all bookings are confirmed by automated email sent from our booking system Resdiary.